Social Based Betting – how would that work? Mobile betting is becoming more and more popular among players. Betting companies have a large percentage of their bets placed on a mobile device. Many mobile sports books looks very similar today. You find an event you like and place a bet. But what will the future bring? When will we take advantage of all the features available inside the phone? 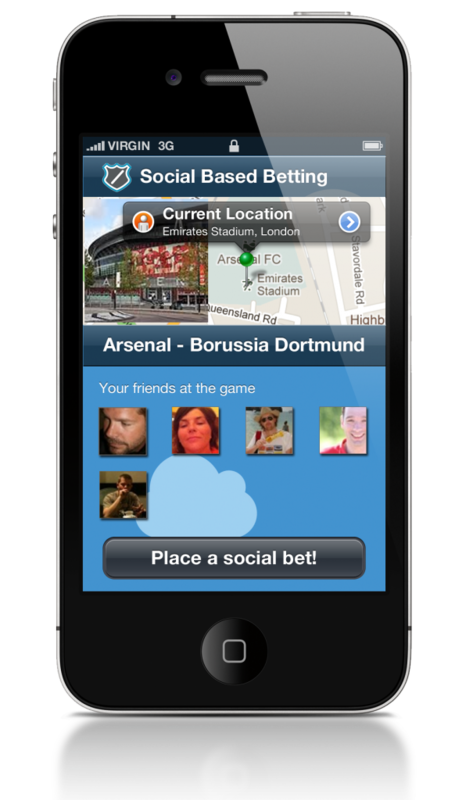 One idea I think would be really cool is some kind of a social based betting (thanks to Alex for pointing it out) which uses your current location and event and shows you which of your friends who is also at the game. Place bets together with your friends and win together! Image 1. A suggestion for a social based betting application. So will Social Based Betting be anything in the future? What do you think?